The Treasurer's Office is responsible for maintaining all funds for the township and for collecting taxes for the Township, Schools, County and other units of local government. These funds are then sent to those other units of government. The Treasurer is an officer of the board and a voting member of the seven members of the Board of Trustees. For more information on the Treasurer's Office, please call 810-629-8631 or email treasurer@tyronetownship.us. Property tax bills are mailed twice each year: July 1st and December 1st. Summer taxes are payable from July 1st through September 14th without interest, unless deferred. Winter taxes are payable from December 1st through February 28th without penalty or interest. Taxes being paid after March 1, MUST be paid at Livingston County. Your check will be your receipt unless you include a stamped self-addressed envelope. Postmarks are no longer accepted on tax payments. Fenton Banks that accept Payments: The Summer and Winter tax bills may be paid at the Fenton branches of the following banks during normal banking hours: The State Bank and Flagstar Bank. You do NOT need to have a bank account. Residents MUST submit the tax stub to the bank when paying. All dogs must be licensed in Livingston County. Licenses are issued for 1-year or 3-years. Proof of rabies vaccination and spaying/neutering (if applicable) must be shown every year as required by state statute. Licenses may be purchased at the Township Hall, at the Livingston County Treasury, or online at the county's website here. Please make checks payable to TYRONE TOWNSHIP. If you are renewing a dog license by mail, please include a SELF ADDRESSED STAMPED ENVELOPE. 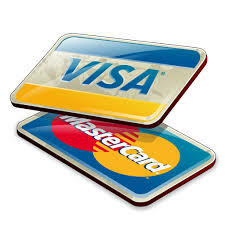 Credit cards are accepted at the township office only (a 3% or minimum $2.00 fee applies). LATE FEE! 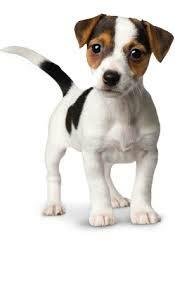 A $20 late fee will apply for any license that is not purchased within the month of the rabies vaccination. For example: if your pet is vaccinated between 10/1/2018 and 10/31/2018, you will need to get the license by 10/31/2018 to avoid the late fee. If you have any questions or concerns please contact the County Treasurer's office at (517) 546-7010.